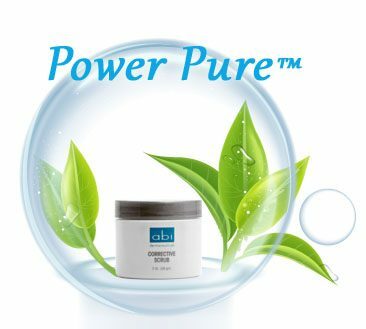 Power Pure™ is at the core of all we do at ABI. This empowering term is used to identify high quality medical grade skin care products and ingredients. If a skin care ingredient is defined as being Power Pure™ then this signifies that this active ingredient is being formulated using the highest (most powerful) recommended percentage and is being harvested or produced in its purest and chirally correct forms. Using Power Pure™ ingredients ensures our products produce significant and powerful results with little or no irritation or adverse effects. At ABI we have created products, or formulations, that contain multiple Power Pure™ ingredients to not only heal and protect but also transform the skin. These scientifically developed skin care products ensure the client receives the highest standard of ingredients. All of our Power Pure™ formulations are chirally correct, free of harmful and artificial dyes, artificial fragrances, parabens and sodium lauryl sulfates enabling us to provide the best both science and nature have to offer with out any unwanted extras.